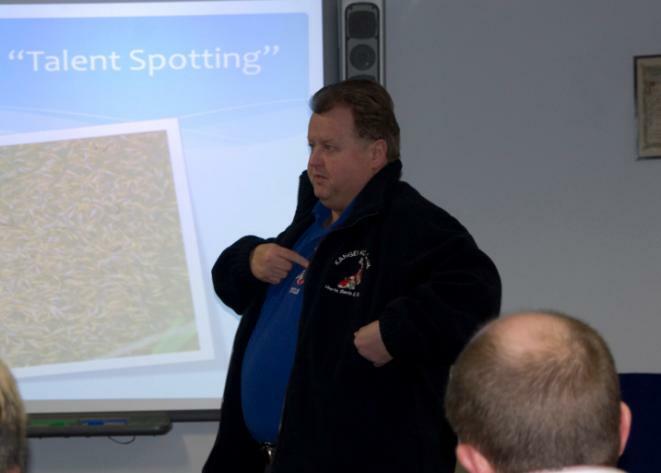 Steve Clarke models Kangei Koi Club's new logo on a fleece jacket at our Feburary meeting. We now have "Herts, Beds and Bucks" included on the logo so we give a clearer message about the club's local area. Please contact Steve if you would like to purchase some club merchandise with our new logo.